Ushering in the fall season with the North East’s favorite fruit: the apple. An emblem of the season, its colors and crispness perfectly analogous to fall. The apple is also integral within the history of American Art. Eric Forstmann, Wounded Crabs, 2017, Oil on board, Eckert Fine Art. Click to inquire. Ushering in the fall season with the North East’s favorite fruit: the apple. An emblem of the season, its colors and crispness perfectly analogous to fall. The apple is also integral within the history of American Art. As many FADA galleries specialize in 19th century American Art, their inventories' are resplendent with American artists’ pictorial translations of Dutch still lifes. 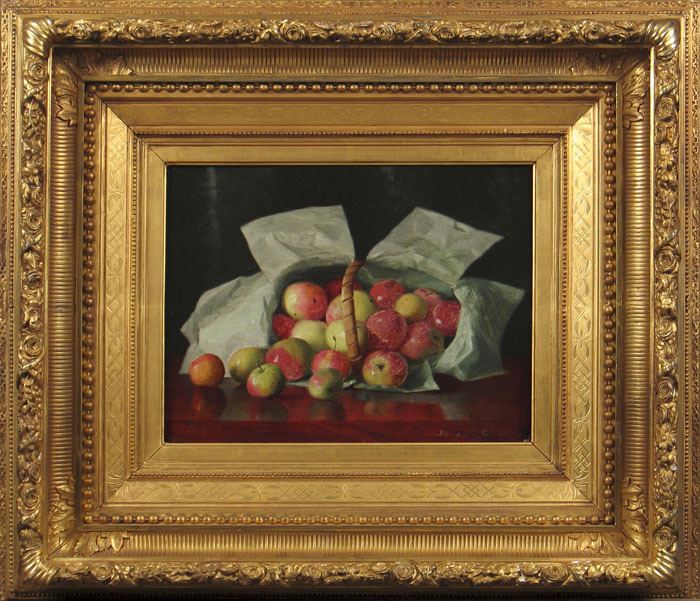 William McCloskey, Lady Apples in an Overturned Basket, Oil on artist board, Godel & Co. Fine Art. Click to inquire. Replacing the fish and chalices native to those sixteenth-century works with apples-both an homage to American rural life and the perfect object for an artist to render. The rotundness of its shape, the variety of its orange, red and green tones allows for the artist to display their mastery. 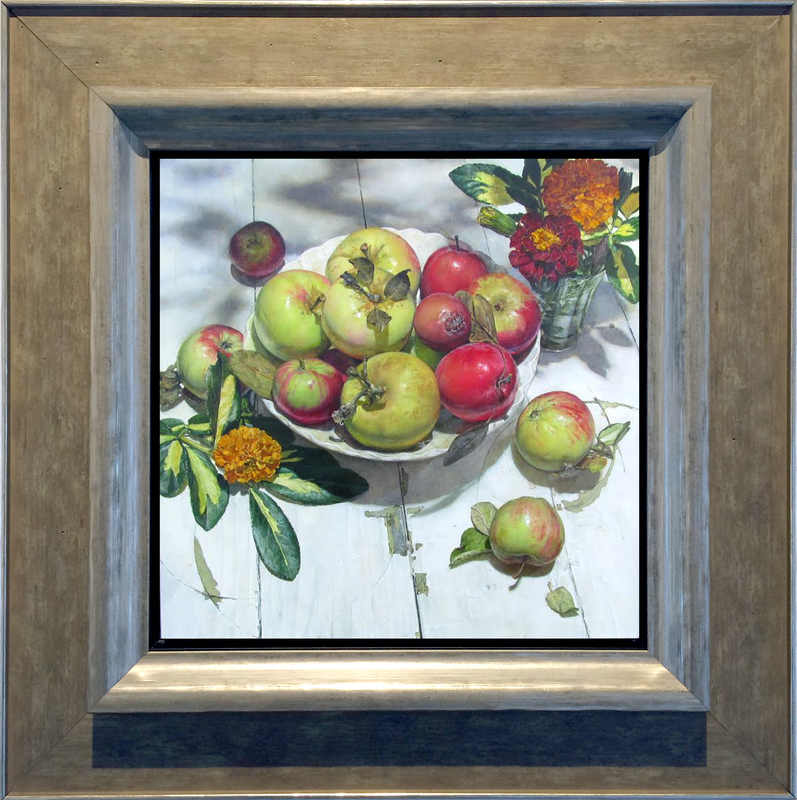 Jeffrey Ripple, Genevieve’s Apples, Oil on panel, Arcadia Contemporary. Click to inquire. As the first fruit plucked from the earth-seemingly emulated in Botera’s sculpture from FADA Member Rosenbaum Contemporary- these artworks encapsulate the sensations of the apple. In viewing them we immediately get a sense of what it felt like when Eve had her first tantalizing bite. 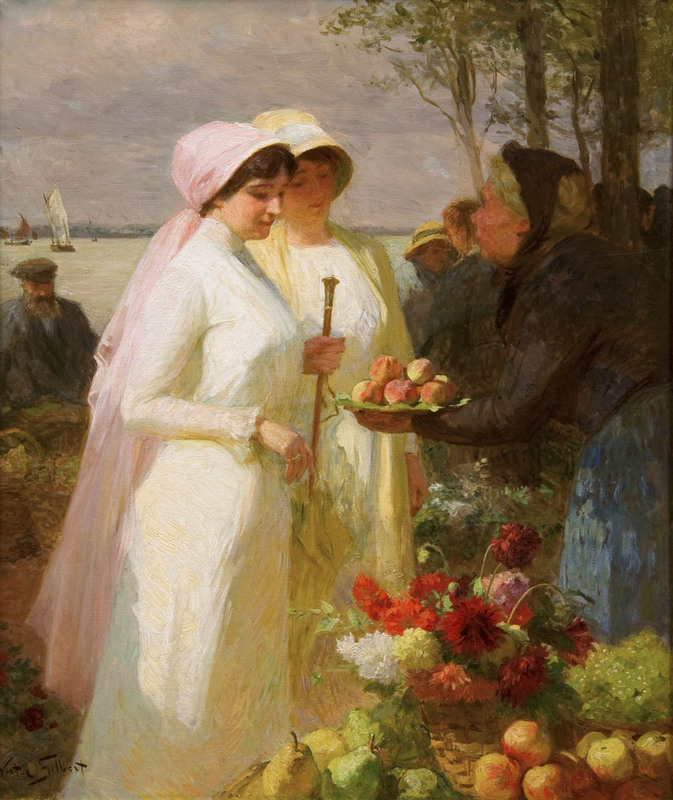 Victor Gabriel Gilbert, La Vendeuse des Pommes (The Apple Seller), Oil on canvas, Guarisco Gallery. Click to inquire. 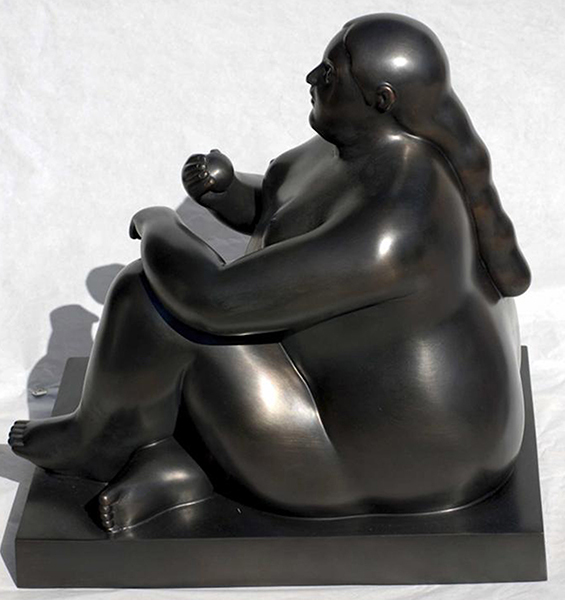 Fernando Botero, Donna Seduta Con Mela (Woman Sitting with Apple), Bronze with black patina, Rosenbaum Contemporary. Click to inquire.